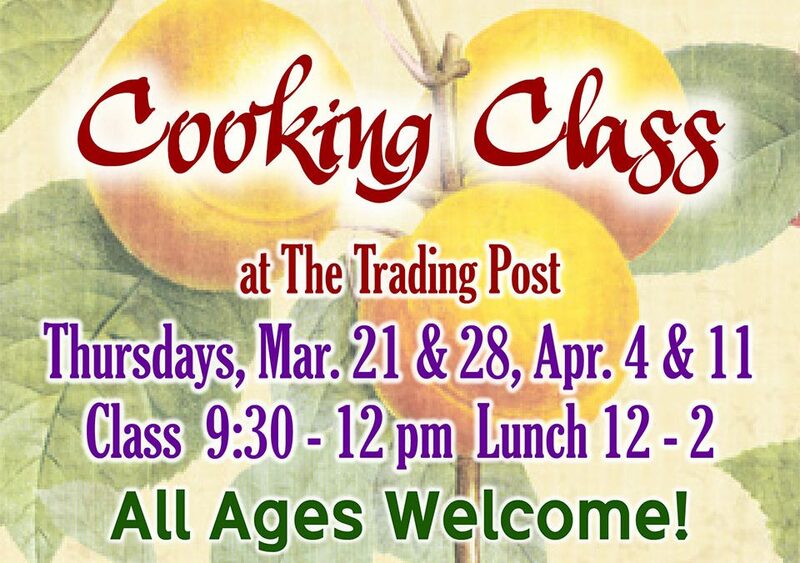 Mar 21 & 28, Apr 4 & 11 – The Spring Cooking Class uses local and organic ingredients. Each lunch is unique and offers distinct flavors from a variety of cultures. 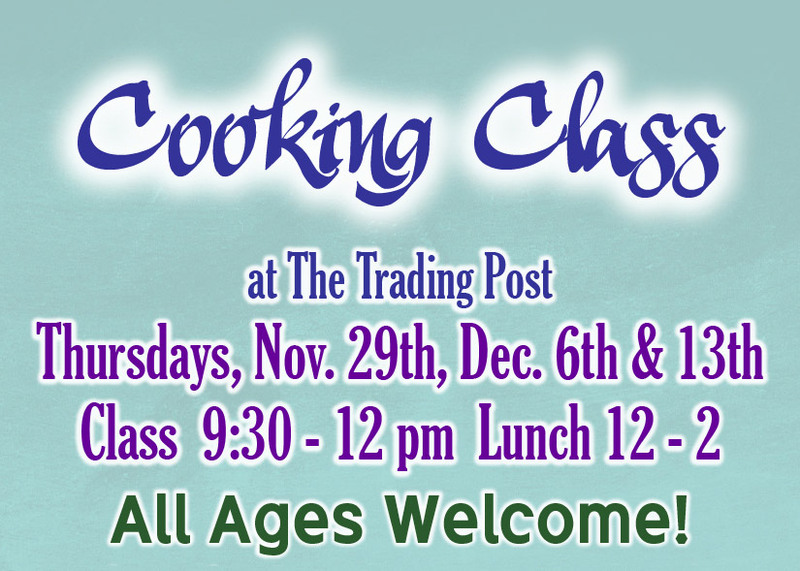 Nov 29, Dec 6 & 13 – The December Cooking Class uses local and organic ingredients. Each lunch is unique and offers distinct flavors from a variety of cultures. 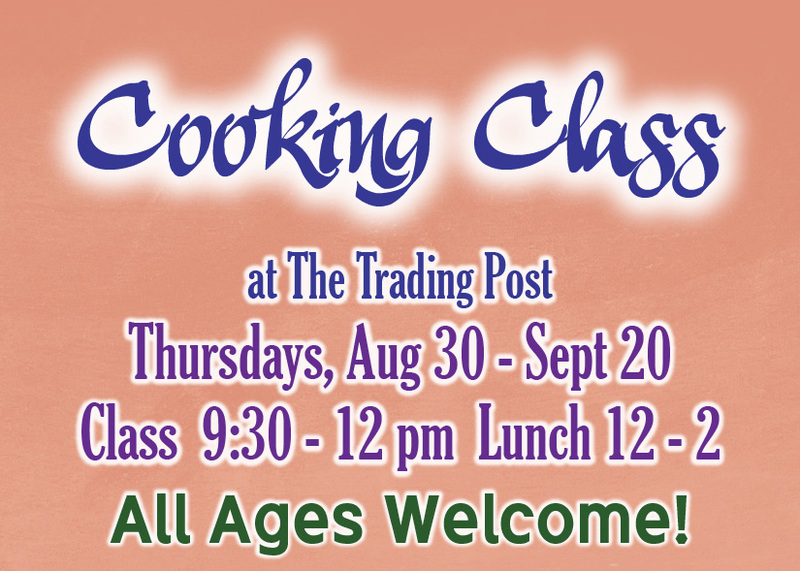 Aug 30-Sep 20 – September Cooking Class prepares lunches on Thursdays using local and organic ingredients. Each meal is unique and offers flavors from many cultures. 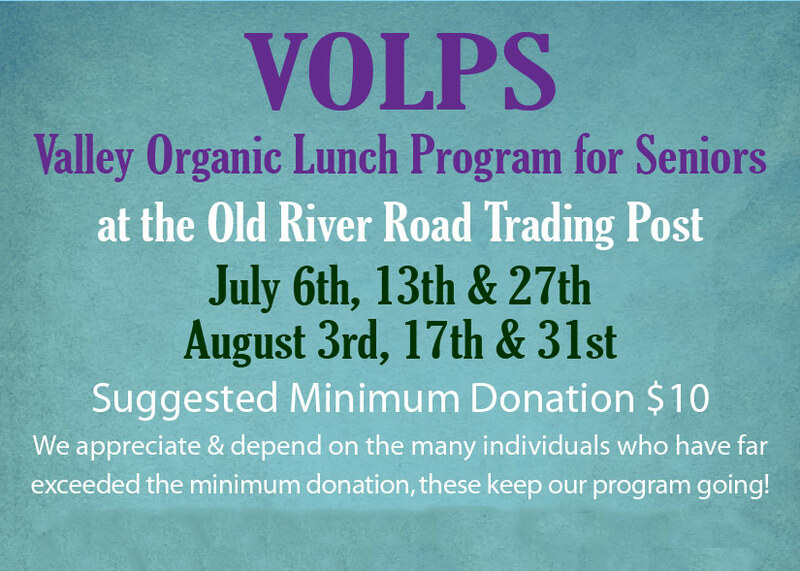 July 6, 13, 27 and Aug 3, 17, 31 – Valley Organic Lunch Program for Seniors funded by the Kampe Foundation and sponsored by The Learning Council and local organic farmers and ranchers. 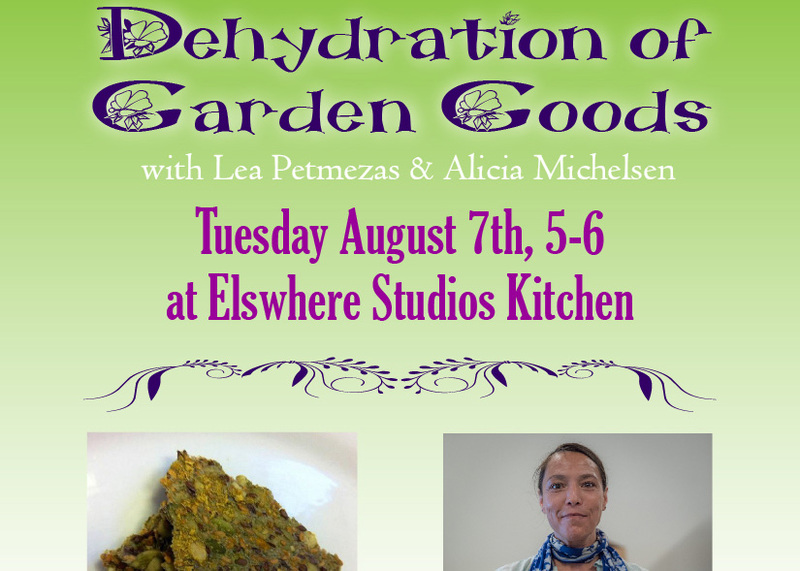 August 7 – Dehydration of Garden Goods at Elsewhere Studios’ kitchen. Presented by Lea Petmezas and Alicia Michelsen.